Lucky Number 8: My Parents' "Farewell"
What are we supposed to call what we used to call farewells? I just awkwardly resorted to saying, "My parents' (insert air quotes) farewell is on Father's Day" whenever people asked about my parents' final adios festivities. 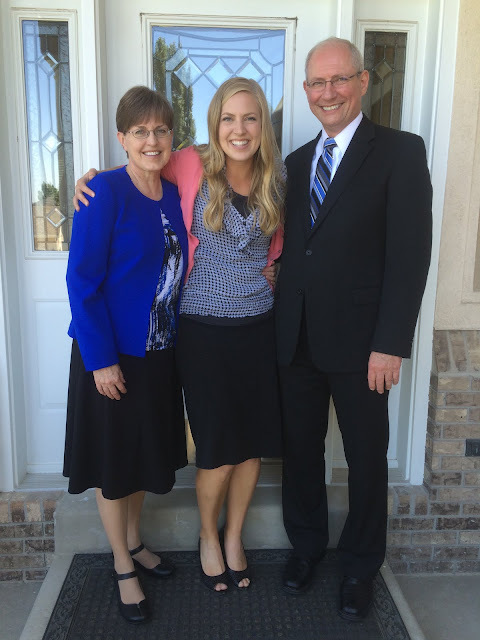 Is it a real thing that we aren't supposed to utter the word "farewell" when referring to the last talk before a missionary leaves, or is this one of those Mormon rumors that has snowballed into a false sense of blasphemy which resulted in farewell essentially evolving into a swear word. Does anyone else feel this way? Am I the only one that whispers "farewell" with as much reserve as one would whisper "Voldemort" at Hogwarts? Is this all in my head?!? Anyway. 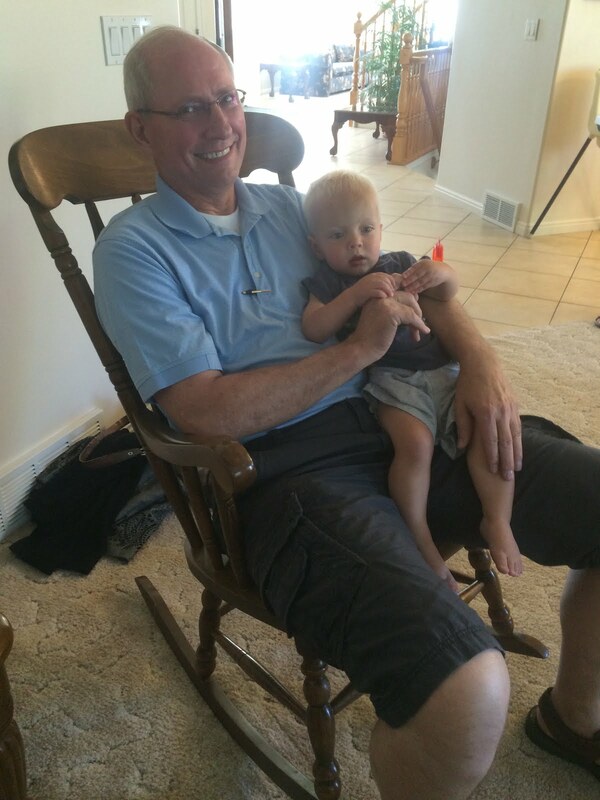 My parents' air quote farewell was on Father's Day, but before that, we experienced the super awesome afternoon when my dad hooked up all his children with a free babysitter (three actually, to cover all of our children) for the afternoon. Because we had big plans to go to Salt Lake in an attempt to break the world record of number of people crammed into a single elevator. We may or may not hold the record at 17. And yeah, you're right. We weren't really there JUST for the elevator. 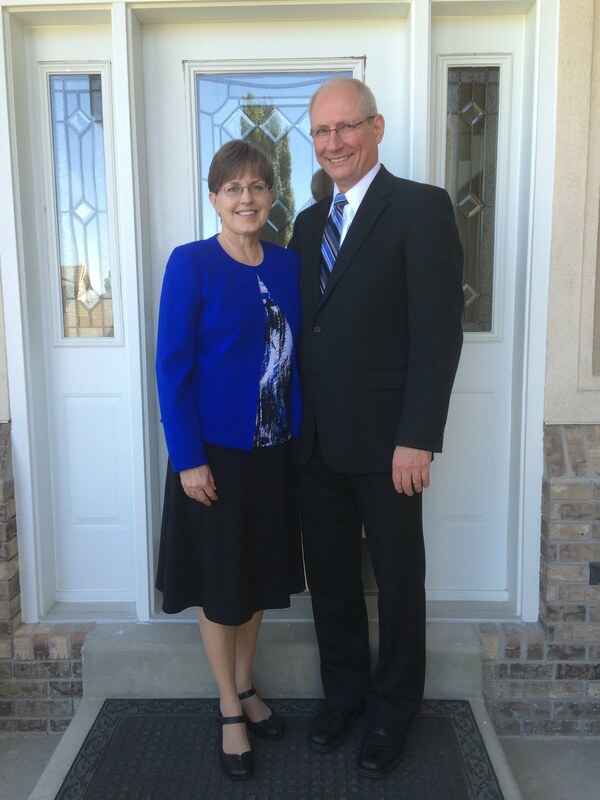 We had the absolute pleasure and honor to accompany my parents as they were set apart to be President and Sister Thomas of the California Carlsbad Mission. We were ushered into a room. After I sat down, I had the realization we were possibly in the room where the Quorum of the Twelve holds their meetings. I did a quick count of chairs which confirmed my suspicions. Then my eyes bugged out of socket and I got a little star struck. And this was all BEFORE Elder Anderson entered the room. Before long we were in the presence of an Apostle and it was just the neatest experience ever. He went around and met each of us, talking to us and getting to know us individually like he had all the time in the world. He chatted with my parents. He asked my dad if he had any questions before he set my dad apart to which my dad said what is now his mission catch phrase: "Nope. LET'S DO THIS!" 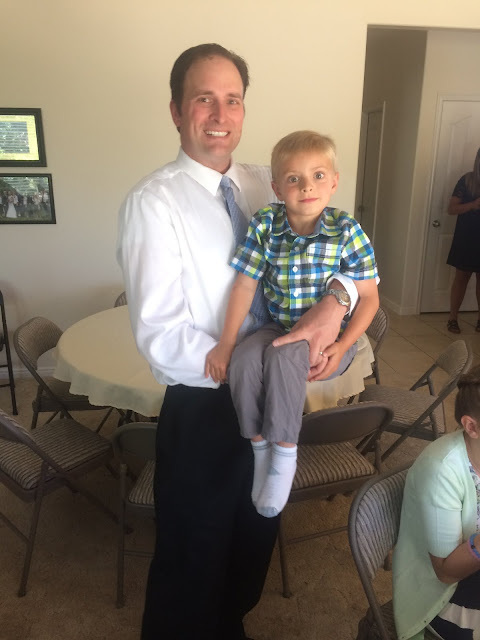 I was joking with my family beforehand about who would be brave enough to request a selfie with Elder Anderson, but Elder Anderson offered a photo op without even needing to be asked. What an inspired man. Okay, in all seriousness, it was such a special afternoon that I will treasure for the rest of my life. I felt so honored that my parents have lived in such a way to be in the position to preside over a group of missionaries. I was so proud to be their daughter and grateful that I was raised under their example of diligence, obedience, hard work, and faith. They're just the best and this day was such a great reminder of that. We went home (after cramming everyone in the elevator a few more times) for a specially prepared Family Home Evening. Jacob did an object lesson on obedience and then we showed videos made by each of our families which covered different sections of the missionary white handbook. You can see the Excell Family video at the bottom of this post if you dare watch it. Warning: I am not claiming to be a singer by any means, but someone had to sing our rewritten lyrics for the song, and Eli and Carson weren't volunteering to do it for me. Endure the voice and latch on to the lyrics which is the part I'm proud of. Plus those cute little boys giving me a preview of their lives in 10ish years is an added treat. We had a free day on Saturday to cherish our last moments with everyone together for a few years. 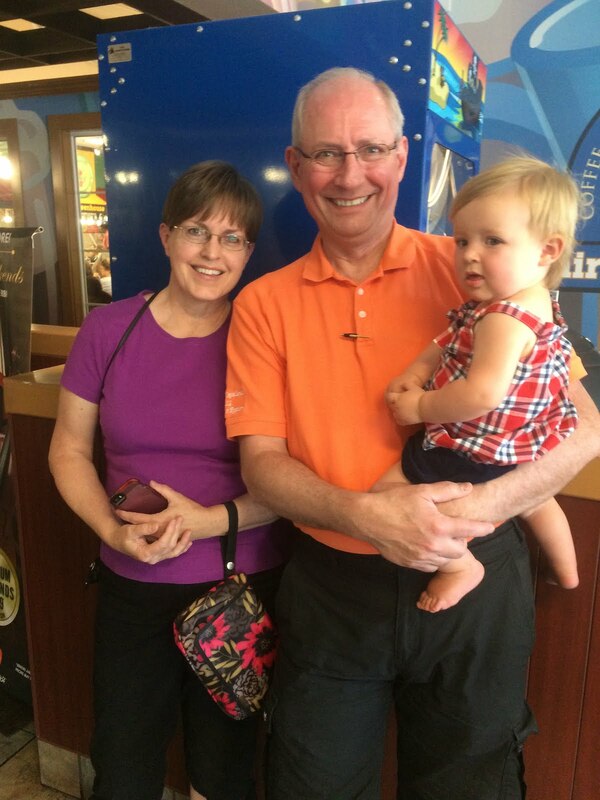 My parents took us to Golden Corral where we attempted to enjoy a meal. 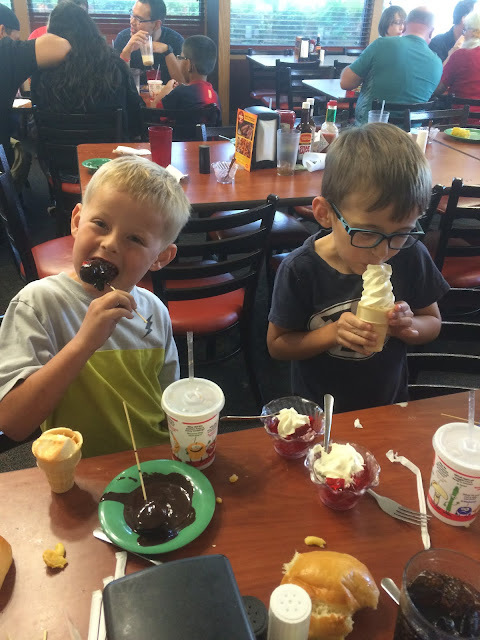 The trouble is, my boys have rarely been to a restaurant other than dining experiences that include a play place, so Carson kind of turned Golden Corral into what he's used to from dining out -- a place to play. He ran. He jumped. He rammed into complete strangers. At one point he was attempting to play hide and seek with Eli underneath someone else's table. So that was fun. We were able to summon Carson back over with a bottomless bowl of ice cream. I nestled in to finish my meal feeling right at home on the little boy end of the table. Sunday morning came, and with that too came Voldemort...er...their farewell. Days before my mom was to give her talk, I asked her how her Spanish was coming along. She's been tirelessly spending every free minute of her time learning how to properly conjugate verbs, but she assured me she was still ill equipped to confidently speak a fluid sentence in Spanish. Little did I know she was just setting me up for the shock of my life! My mom ended her talk with a paragraphs-long, fluid, perfectly pronounced (to my untrained ears at least) testimony in the language she has given her life to over the last several months. I knew how much time she had spent diligently studying her Spanish (proving said diligence by falling behind on episodes of The Bachelor in the name of learning the language...scary face emoji). She was so impressive and left the whole ward in awe of her hard work and preparation. At the after party, I uttered the words, "My mom will want pictures of who was here." But then I only took approximately 3 pictures and got distracted. This is my best effort at capturing who was in attendance. We seized the opportunity to get a family shot that preceded with Ben complaining, "Do I seriously have to put pants on?!?" We're all glad Ben decided the answer to that question was yes because look how cute these pictures are! We spent the evening with the grandkids savoring their last moments with Presidente and Hermana Thomas before El MTC ripped them away from us. Thanks for the memorable weekend, Mom and Dad! You're going to do great things in Carlsbad. I can confidently say this because I'm writing this post 1 month into your mission and I can already see it happening! LET'S DO THIS! Oh my goodness!! This brought back some fond, sweet memories. 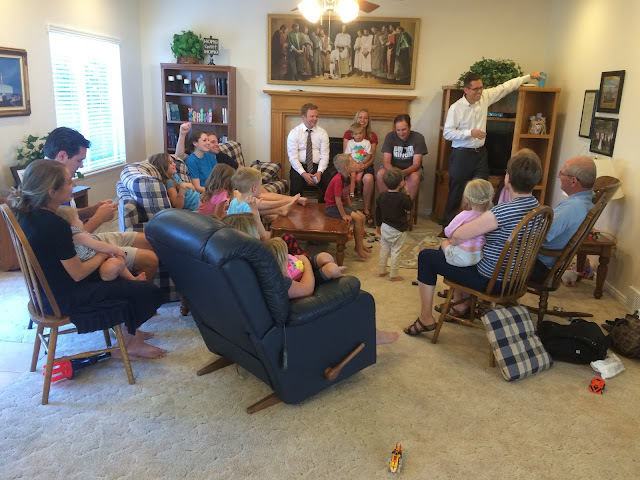 I love the picture we had taken with Elder Anderson and the one of us all around the table where the Quorum of the Twelve meet. The p-day video at the end just makes me laugh. 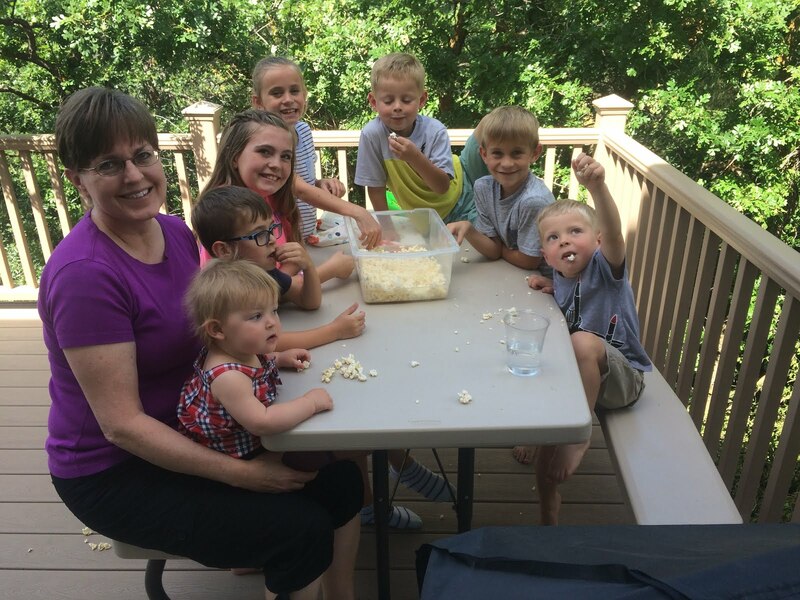 Our missionaries are going to love watching it. Nice job yet again of telling a great story of the happenings in your life. This was such a great post about mom and dad's last days here. I love the sibling pictures!